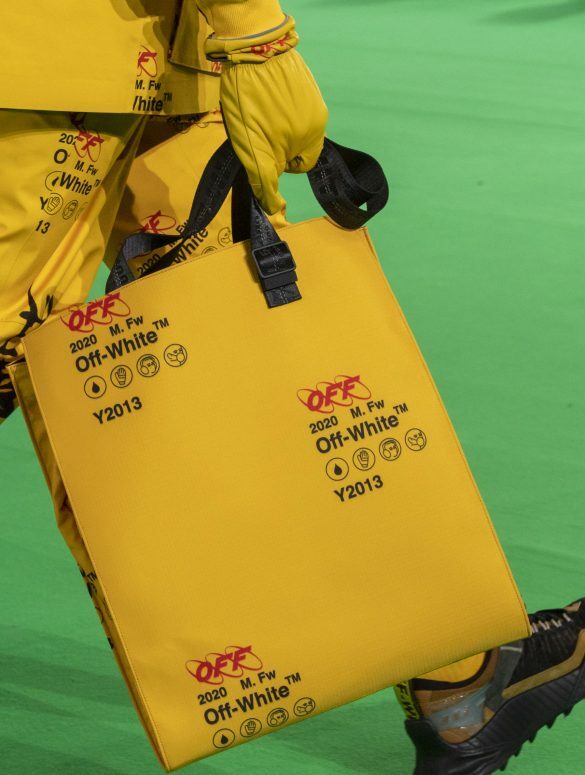 Research for the Soft Serve 2020 Report* is almost complete and it’s good to see that the rise in popularity of the tote isn’t slowing down. Even our co-founder Kaine has recently adopted one as his daily carry. Although essentially just a box with handles, totes carry a particularly high level of social subtext. We can’t say for certain, but it feels as if this trend more than most is an indicator of larger positive phenomenon. One possibility is the growth of the minimalism movement and changing attitudes towards sustainability. From the 100 Items Challenge to Marie Kondo, the topic of owning less has been increasingly accepted as beneficial over the past ten years. As these concepts are adopted and people cull items from their life, simplicity and versatility become a priority. Totes not only fulfilled the criteria functionally but they also outwardly display a humble, utilitarian attitude. Another factor is the shift toward gender-neutral fashion. The largest market growth over recent years has been in mens totes. These are generally made from rugged fabrics and full of technical features. But this isn’t about designs changing to suit men, more that a growing number of men are becoming confident in carrying them. In some communities this might seem trivial, but with mainstream western blokes it’s a significant change and possibly a subtle sign of support for gender equality. Whilst we can’t see totes ever becoming completely mainstream with a western male audience the change in men's attitudes is becoming more wide spread. To get a sense of where the conversation is at check out Chase Reeves video here. Whatever the cause, both the range and diversity of totes on the market continues to grow. And thanks to the simplicity of the shape, it’s a category in which brands are choosing to experiment with colour, scale and material. For more examples check out our Pinterest here. * The Soft Serve 2020 Report is an independently commissioned research and forecasting document specifically for the soft goods market. Initially something we started for our own practice, due to interest we'll be releasing it publicly within the next month. If you’re interested get in touch.